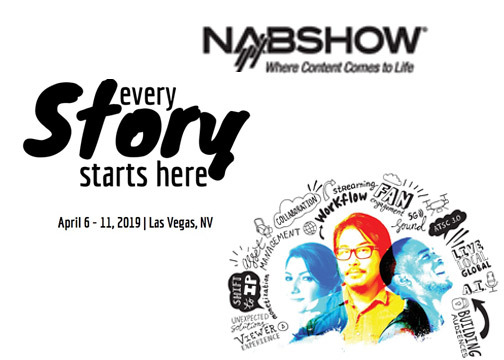 Home Shows & Conferences 2019 NAB Show: Every Story Starts Here! 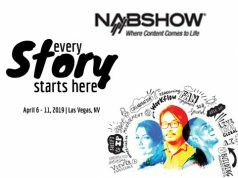 2019 NAB Show: Every Story Starts Here! Las Vegas, NV—As in prior years, the 2019 NAB Show will attract a diverse community of industry professionals. It is the ultimate event for media, entertainment and technology professionals looking for innovative ways to create, manage, deliver and monetize content on any platform. It is the annual event for those serious about storytelling. The NAB Show is where groundbreaking technology is unveiled, state-of the-art solutions are displayed and game-changing trends emerge. Attendees can explore aisle after aisle of awesome tech, cool gear, smart software, cloud solutions and limitless ideas as well as inspiration at a world-class trade show. Moreover, they can you roll-up their sleeves and be hands-on with the products, services and people driving the future of content. In addition, via NAB’s education conference programs, they can benefit from the world’s most inspiring and celebrated thought leaders. Attendees get big-picture insights as well as critical details on the latest trends impacting content from creation to consumption. Whether your focus is on the art, the science or the business of content creation or consumption, the NAB Show is a must-attend event. The show has it all: 5G; 4K/8K video; UHD and HDR video; advanced advertising; artificial intelligence and machine learning; app development; augmented reality; virtual reality; mixed reality; live streaming; cybersecurity; ATSC 3.0; IP; and also voice recognition! Following is a concise summary of select show events. The 2019 NAB Show revamped its exhibit floor tour program to help attendees navigate the largest convention encompassing the convergence of media, entertainment and technology. Individuals and groups can schedule planned and custom VIP tours April 8 through April 10. Specially curated tours were redesigned on input from attendees and focus on: Future Technology and Innovative New Products; Film and Episodic TV Production Workflow; and Live Production and News Production Workflow. Attendees also have the option of working with a NAB Show representative to develop a custom tour led by a personal guide. In addition, attendees can schedule tours of the M.E.T. 360 Studio, from which the convention’s official live stream broadcast NAB Show Live is produced. Tours include access to the studio’s master control room and views of the program’s production and workflow. Rates and scheduling are available here. This year, the NAB Show is launching a new forum for the cinematic community to connect, collaborate and innovate. The Birds of a Feather (BoF) education and networking program, April 8–9, comprises eight sessions. They center on topics relevant to the motion picture and television content creation communities. 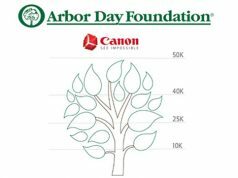 The program is a series of themed, hosted, noncommercial gatherings that bring together subject matter experts, creatives, technologists as well as production crews to examine topics of mutual interest. The events are also interactive, conversational, free to host and free for NAB Show registrants to attend. The BoF program consists of one-hour sessions, four each day, on April 8 and April 9. Hosts include: Open Effects Association; Eric Weaver; Blue Collar Post Production; Colorist Society International; Academy of Motion Picture Arts and Sciences; International Cinematographers Guild; Bradley Weiers; and DITWIT. NAB, in association with Streaming Summit Conference chairman Dan Rayburn, again produces a two-day event with a focus on the OTT video industry. The Streaming Summit takes place April 8–9 in the North Hall of the Las Vegas Convention Center. In addition, a new dedicated website was launched at nabstreamingsummit.com. The Streaming Summit also features nearly a dozen fireside chats with key executives in the online video market. They comprise Amazon, Google, Facebook, Comcast, Hulu and other leading OTT platforms. Prominent correspondents from ABC, CBS, NBC and PBS participate in an in-depth discussion on covering the presidency during a session titled Beyond the Briefing Room: Tales from the White House Beat. It takes April 9 on the Main Stage. Panelists include PBS NewsHour’s Yamiche Alcindor; NBC News’ Hallie Jackson; CBS News’ Steven Portnoy; and ABC News’ Cecilia Vega. Gordon Smith, NAB’s president and CEO, will interview the panelists. Yamiche Alcindor, White House correspondent for PBS NewsHour, is also a political contributor for NBC and MSNBC. Previously, she was a national reporter for the New York Times, covering politics and social issues, and also a reporter with USA Today. Alcindor has reported extensively on the intersection of race and politics. Moreover, she was named Emerging Journalist of the Year in 2013 by the National Association of Black Journalists. Hallie Jackson is the chief White House correspondent for NBC News. Her reporting appears across all NBC News as well as MSNBC platforms. During the 2016 presidential election, Jackson played a pivotal role in reporting on the Republican primary field, including covering President Donald Trump. Prior to joining NBC in 2014, Jackson was a national correspondent for Hearst Television’s Washington DC bureau. 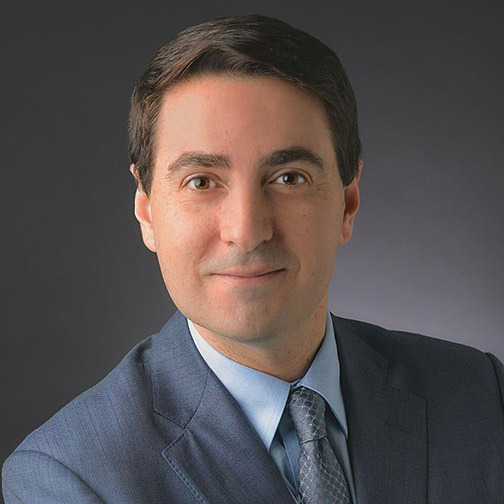 Steven Portnoy is a CBS correspondent covering the White House for CBS News Radio. He also served as a lead radio correspondent on the 2016 presidential campaign. In his 15 years reporting from Washington, Portnoy has covered inaugurations, political conventions and State of the Union addresses. Before joining CBS, he was a radio correspondent for ABC News, where he anchored radio coverage of the death of Osama bin Laden. He also covered the Boston Marathon bombings and Virginia Tech massacre. Cecilia Vega is an Emmy Award winner and ABC’s senior White House correspondent. During the 2016 presidential race, she led ABC’s coverage of Hillary Clinton’s campaign and also covered Sen. Bernie Sanders’ presidential bid. In addition, she reported on the election and inauguration of President Barack Obama. Previously, Vega rotated as anchor of the weekend edition of ABC World News Tonight. 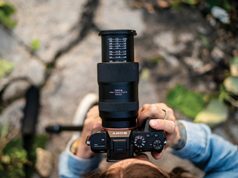 The NAB Product of the Year Awards debut for 2019 NAB Show exhibitors. The awards recognize the most significant, promising new products as well as technologies on the show floor. They are selected by a panel of industry experts in 15 categories and announced at a reception at the Westgate on April 10. To be eligible, nominated products and technologies must be on display at the 2019 NAB Show for the first time and also available for delivery in calendar year 2019. Moreover, product categories for the awards program are: AI/Machine Learning; Asset Management, Automation, Playout; Audio Production, Processing and Networking; Cameras, Camera Support and Accessories; Cloud Computing and Virtualization; Display Systems/Digital Signage; Graphics, Editing, VXF, Switchers; Hardware Infrastructure; IT Networking/Infrastructure & Security; Lighting; OTT/IPTV/Streaming/Connected TV; Radio; Remote Production; Storage; as well as Video Transport.